Kimi Räikkönen has taken a surprise victory for the Lotus F1 team at the Australian Grand Prix. It followed a disappointing qualifying session for Lotus, which finished with Räikkönen and his team-mate Romain Grosjean seventh and eighth respectively. The front row was dominated by Red Bull, led by Sebastian Vettel. In his first race for Mercedes, Lewis Hamilton qualified third. A poor start for Webber left Vettel leading the Ferraris of Fernando Alonso and Felipe Massa with Räikkönen, Hamilton and Nico Rosberg completing the top six. The first round of pit stops from lap seven saw the lead switch between these front runners. 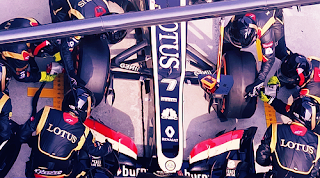 Force India's Adrian Sutil led the race temporarily thanks to starting the race on the medium-compound Pirelli tyres, which enabled him to postpone his pit stop until the 21st lap. By this time, Fernando Alonso had already made his second stop and was able to overtake Massa and Vettel as they pitted at the same time as Sutil. 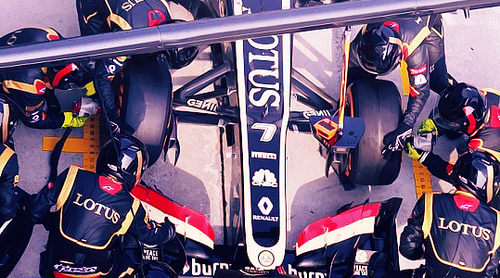 Räikkönen's two-stop strategy put him ahead until he pitted on lap 34. The lead was inherited by Alonso, who put distance between himself and Vettel as the latter struggled with excessive tyre wear – the Red Bull's promising qualifying performance didn't translate into good race pace. Kimi Raikkonen upstaged the established order to claim a resounding victory for Lotus in the season-opening Australian Formula One Grand Prix in Melbourne on Sunday. The taciturn Finn roared off from seventh on the starting grid to take a forward position, and employed a strategy of only two stops to take the race from Ferrari’s Fernando Alonso and Red Bull world champion Sebastian Vettel. For Raikkonen, 33, who won the 2007 world championship with Ferrari before taking two years out to drive in rallying, it was his 20th GP triumph. It was the Finn’s second triumph when he won the 2007 Australian race on his way to securing the world drivers’ title. Raikkonen had the luxury of an easy run in the closing laps to the finish line and beat Alonso by 12.4secs, with Vettel a further 9.8secs away in third. Alonso’s Ferrari teammate Felipe Massa of Brazil was fourth, with Britain’s Lewis Hamilton in a Mercedes fifth and Australian Mark Webber in a Red Bull sixth. 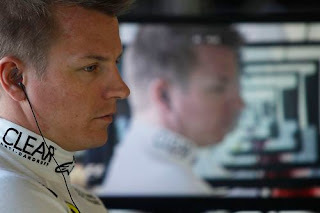 Lotus driver Kimi Raikkonen has no doubts that his side can challenge for the Formula 1 World Championship this season. 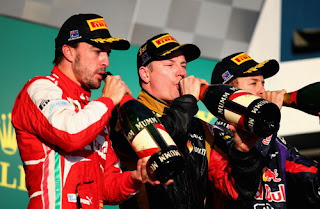 The 33-year-old got his campaign off to the perfect start when he won the Australian Grand Prix in Melbourne on Sunday. 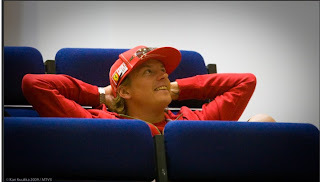 However, the Finnish racer believes that it will be a real push for his team to compete with the likes of Red Bull and Ferrari for the entire course of the year. "It's not going to be easy for us. 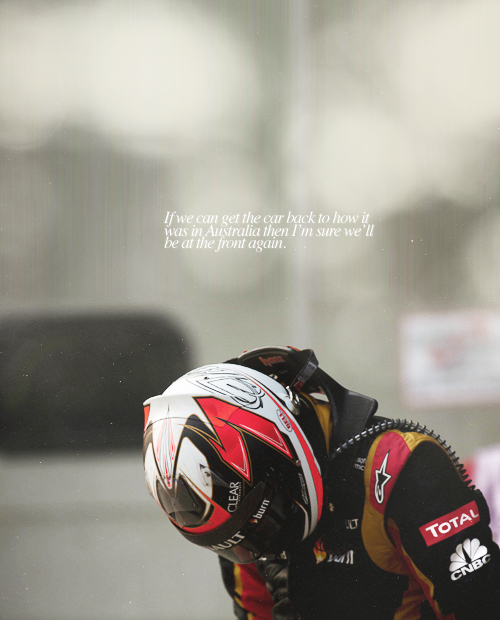 We have the people, all the tools to make it, but money is a big part of it," Raikkonen told Sky Sports News. "We don't have the same budget as Ferrari, Red Bull or Mercedes, but we saw last year we did well with money and the things we have. "If we could get more money that would help, and it will give us a better chance and more fair play against the bigger teams. We have good plans, and if we can follow them up it might be good, it might not. If you do things right it will go nicely, but then one thing can change the whole year. If you do a few things a little bit wrong it can turn around and go downhill after that. "So we just have to do the normal things, like we did last year, and put good effort into new parts. If we're happy we keep them, if not we have to look more closely. So far it has been good, so there is no reason why we can't keep it up." The Lotus driver pipped the more fancied Sebastian Vettel and Fernando Alonso to top spot in Melbourne after his two-stop strategy put him ahead of his rivals who were all doing three-stoppers. 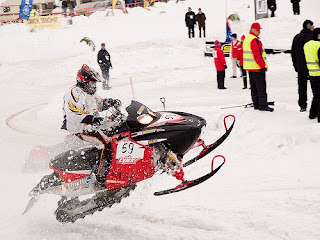 The 33-year-old remarked afterwards that it ended up being "one of the easiest race wins" and he is confident that he can add more to his tally, with a World Championship not out of the question. However, while the Finn believes that the victory won't prove to be a one hit wonder, he knows winning the title will be a much harder task, with financial resources playing a big role. "It's not going to be easy for us. We have the people, all the tools to make it, but money is a big part of it," he explained. "We don't have the same budget as Ferrari, Red Bull or Mercedes, but we saw last year we did well with money and the things we have. "If we could get more money that would help, and it will give us a better chance and more fair play against the bigger teams. We have good plans, and if we can follow them up it might be good, it might not. "If you do things right it will go nicely, but then one thing can change the whole year. If you do a few things a little bit wrong it can turn around and go downhill after that.